The vast majority of pet parents feed their dogs a dry food diet, commonly referred to as kibble. However, much misinformation exists about this inexpensive and convenient form of dog food. Let’s dive into some of the more prominent myths. Imagine if your dentist told you that all you needed to do to clean your teeth was eat cookies! Wouldn’t that be nice? Sadly, its impossible for a food that contains nearly 50-60% carbohydrates (as nearly all dry foods do) to clean your dog’s teeth. The carbohydrates inside kibble are in fact the reason why your dog’s teeth need to be cleaned in the first place! As many feeders of fresh foods can attest to, dental care is far easier for your dog if you do not feed a diet consisting of 100% dry food. Raw, meaty bones are an excellent way to scrape your dog’s teeth clean. Just make sure to never give your dog cooked bones, which can splinter and cause intestinal damage. This is perhaps the most pervasive myth that the pet food industry (and even some veterinarians) willingly perpetuate. 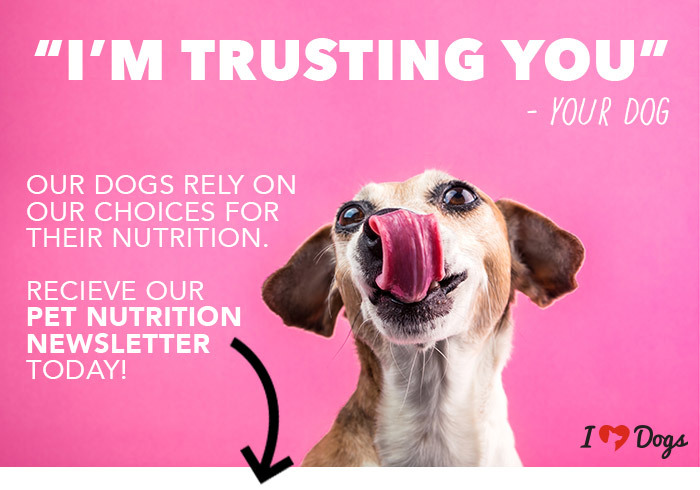 I would argue feeding your dog the same dry food diet (no matter what the quality) is a risky proposition comparable to feeding yourself fast food every single day. No matter what the quality, dry food equals processed food, and processed food should never make up 100% of the diet for any dog. Rotating foods offers several benefits to your dog. First, it ensures they are receiving a wide variety of nutrition from varying proteins and other ingredients. This rotation of ingredients can help prevent allergies from developing later in life. Secondly, rotating foods ensures that any contamination or ingredient imbalance will not affect your dog as severely as if you fed one food their entire life. 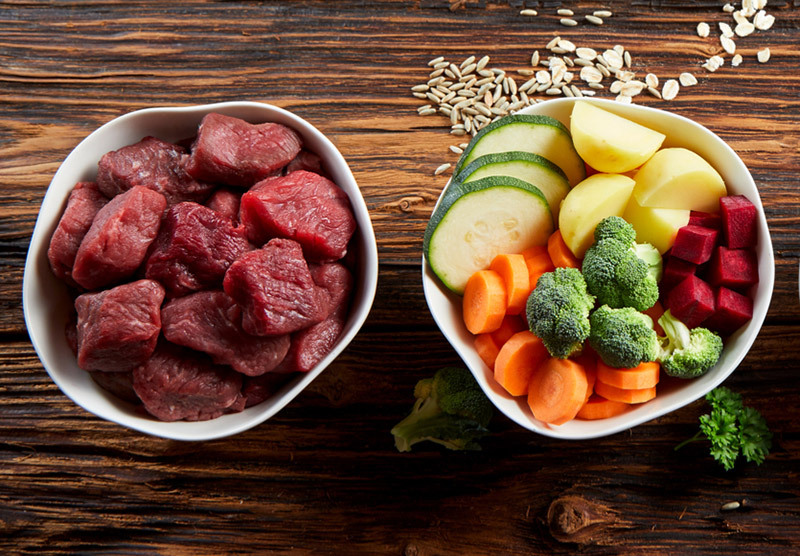 Many dog owners fear switching diets because they’ve seen what happens to their dog’s poo when changing foods. This is understandable, but digestive upset often signals your dog’s microbiome isn’t in tip top shape (quite possibly from a pure kibble diet). A dog with a healthy gut should be able to rotate ingredients and foods, just like people do. If you are rotating or switching foods, always go slow and consider adding in probiotics. Kibble has one and only one advantage over canned food: it’s lower cost. The manufacturing process of kibble requires a high amount of carbohydrates, which can lead to obesity and an increased risk of cancers in our dogs. Canned food, on the other hand, nearly always boasts significantly more protein (there are some exceptions, of course) and a much lower amount of carbohydrates. 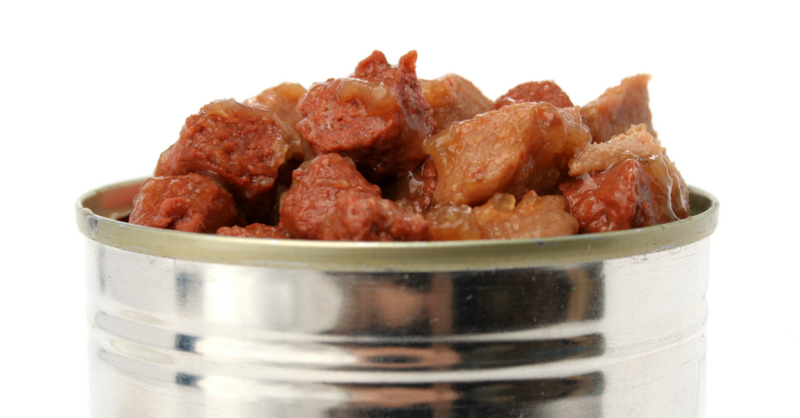 In addition, due to the canning process itself, canned dog food often contains minimal preservatives. Your dog has no biological requirement for carbohydrates. This is why when you look at the guaranteed analysis on the back of your dog’s food label, you won’t see carbohydrates listed. Despite this undisputed fact, carbs are still the most prominent ingredient in all kibbles, sometimes composing over 50% of the ingredients by weight. Why? Simply because grains and starches are cheap for manufacturers and often subsidized. One important note: When you compare the guaranteed analysis of a canned food to a dry food, it often creates confusion. The protein percentage on canned food appears to be lower. When you compare however, on a dry matter basis (removing moisture) you will always have more protein in a canned food vs kibble. That huge bag of dog food you just bought to save money? Odds are, the fats inside it are going rancid within weeks of opening, putting your dog at risk. When fats in your dog’s food go bad, free radicals are created in the process. These free radicals can scavenge your dog’s body, causing untold damage over time. Unfortunately dry food with rancid fats will not necessarily look or smell bad. But rest assured, the moment oxygen comes in contact with kibble, the process of oxidation has begun. Because of this, we like to recommend using the entire bag of food within 3-4 weeks. In general beef or lamb based foods go rancid slightly slower than chicken or poultry foods. If you have a pet food storage container, its always better to put the entire pet food bag inside of the container, and not pour the kibble directly into the bin. Pet food packaging is actually pretty advanced these days and does a better job at keeping the food fresh than a storage bin alone. This is perhaps the most frustrating myth of all. Veterinarians are wonderful people with wonderful hearts. I fully trust my veterinarian’s advice on nearly any topic, save one: their food recommendations. If you compare the labels of food commonly recommended by veterinarians and breeders (such as Hill’s Prescription Diet and Royal Canin) you’ll find that they are low quality foods with a few therapeutic ingredients added in. Most of the formulas rely heavily on meat by-products, corn, wheat, rice, and soy. In addition, manufacturers such as Hill’s Prescription Diet and Science Diet are no better than the rest at avoiding recalls, as recently we learned when a dangerous amount of vitamin D was added into some formulas. Unfortunately, nearly all kibble contains shockingly low amounts of protein, ranging from 18% to 33%. This is in fact the reason why kibble is so much lower cost compared to canned food or fresh food. There is no way around it, animal protein adds substantially to the cost. But let’s not forget, dogs are primarily carnivores! To make matters worse, much of the protein found in kibble is from lower quality plant sources such as corn, wheat, peas, or soy. These plant sources are missing one or more amino acids that your dog’s body needs. 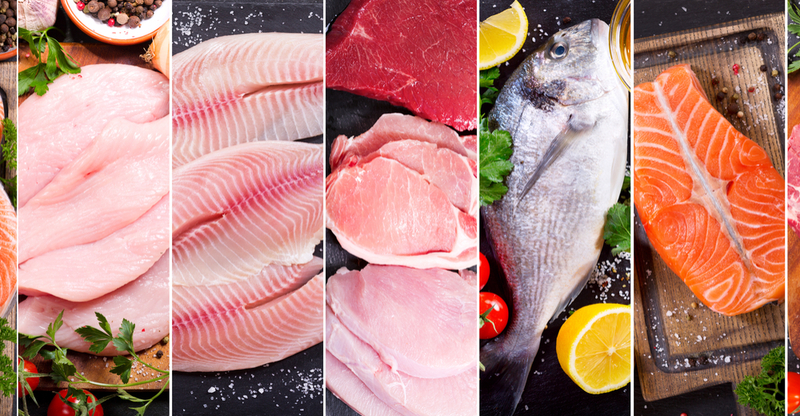 A sign of low quality protein is that you’ll often see amino acids such as L-Lysine, DL-methionine, L-threonine, L-tryptophan and taurine added into the formula. Sadly, its nearly impossible to find a dry dog food that contains 100% of ingredients sourced from the USA. This is due to the fact that China produces an overwhelming amount of the world’s vitamins, in the form of premixes. These vitamins are not sourced from nature, but rather created in a lab. While synthetic vitamins are sufficient to prevent most deficiencies, they do differ chemically from vitamins and minerals derived from nature and should not be a replacement for whole food sources. 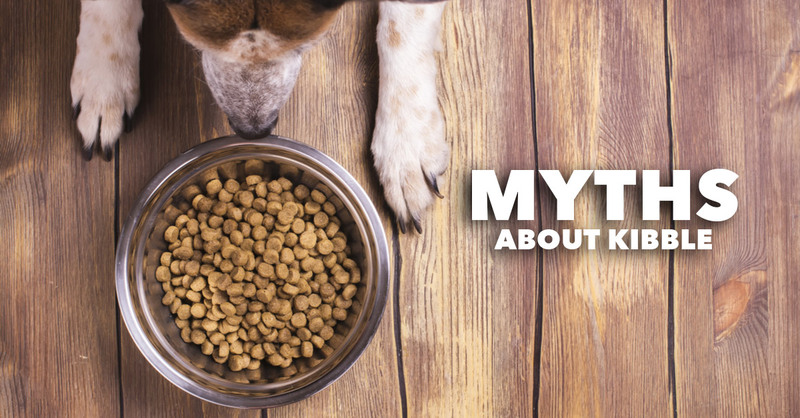 Bonus Tip: If you think your dog’s food is 100% natural because the label says so, think again. You’ll often see a claim such as all-natural with added vitamins and minerals. Believe it or not, that last statement about vitamins and minerals is the manufacturer’s way of telling you they are synthetic, and the exception to the all-natural claim! Let’s be real here: Would you trust McDonald’s recommendations on how much to eat their food? Of course not! Pet food manufacturers can often recommend too much food for your individual dog’s needs. Recommending too much only plays in their favor and it leads you to buy more. The recommendations on the bag are an ok starting place, but remember that based on your dog’s activity level, you may need to substantially modify the suggested servings. Most importantly, learn to recognize a healthy weight and shape for your dog. 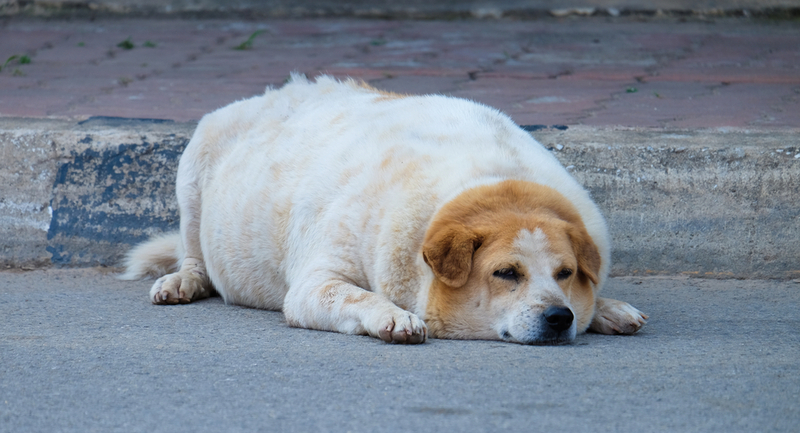 Understanding the signs of obesity in your dog, and adjusting their diet accordingly, is absolutely vital to preventing obesity related diseases such as arthritis and cancer. Here’s why that isn’t as big of a deal as you think. The ingredient list is always listed in the order of weight, prior to processing. Whole meat such as chicken breast contains roughly 70% water, which means that after the ingredient is cooked in the kibble manufacturing process, it often represents a tiny amount of the total protein, as low as 5%. Odds are, the ‘meat meal’ listed later on in the list of ingredients represents more total protein than the first ingredient! Strange, but true. Over the last 5 years grain-free foods have exploded in popularity, mirroring a trend in human foods. However, many pet parents are shocked to learn that grain free foods can often contain more carbohydrates than grain based foods! This is because substituting something like legumes (often peas) or potatoes instead of corn or wheat isn’t necessarily good for your dog, unless of course they have an allergy or food sensitivity to grains. Grain-free foods usually do not contain more protein than their grain filled counterparts. In addition, while we don’t yet know all the facts, the FDA recently announced it is monitoring a surge in heart disease (dilated cardiomyopathy) linked to dogs that are fed grain free diets. 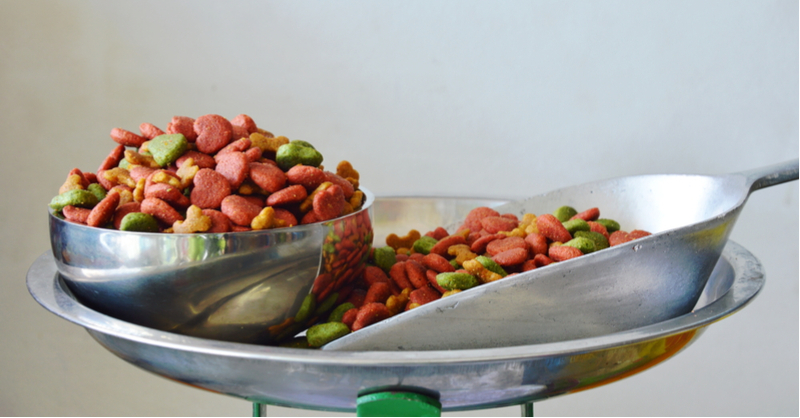 Rotate Your Kibble – Dog food companies don’t like this suggestion. They want you all to theirselves! But just like you rotate the foods and restaurants you eat from, your dog needs variety as well. Add in fresh fruits and vegetables: While not absolutely essential for dogs, fresh fruits and vegetables contain valuable vitamins, minerals, and phytochemicals that can fight disease. Some of my favorites are green beans, carrots, and blueberries. Add in fresh protein – Raw eggs are my absolutely favorite add-in! Simply crack an egg over your dog’s existing food (remove a bit of kibble to watch those calories) then watch your pup go crazy! Freeze dried raw meat toppers are another great option. Rotate in some canned foods – Canned foods can be pricey, but they offer substantially more protein and moisture for your dog’s diet. They are often more palatable as well, so its a nice change of pace for your pup. Add in healthy fats not found in your dog’s food – Even if your dog food claims to contain Omega-3 fatty acids (which are absolutely essential for dogs) those healthy fats likely do not survive processing, and are present in extremely low amounts. Considering adding in krill oil (excellent for skin, coat, and allergies) and coconut oil (great for brain health). If you’re concerned about your dog’s stomach being upset by any of these changes, make sure to start slow and add in a probiotic. We hope these tips were helpful for you. Remember like us, our dogs are what they eat. They rely on us to make healthy choices for them. Let’s give them the best, they deserve it! About The Author: Justin Palmer is the co-founder of iHeartDogs.com, a DNM certified pet food nutrition expert, and dog dad to Splash, a 13 year old rescued Siberian Husky. You can reach him at justin[at]iheartdogs.com.